This week I’ve been studying Jesus as mighty God, based on the passage we’re studying, Isaiah 9:6. I’ve spent some time reading other scripture that would show the attributes of Jesus as Mighty God, and I feel changed by reading these examples, and challenged to really consider what a mighty God is like, and how it would change how I live. The power to change hearts: Saul who hated Jesus ends up following him in a manner of minutes (Acts 9:20). I can’t really imagine any human being capable of making this radical change in someone. I could hope and wish someone would change, but at the end of the day it is always up to them. 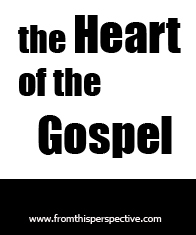 This concept of heart transformation is only an attribute of a Mighty God, and if I truly believed it, perhaps I would realize the conversion of those around me can only happen through Jesus. It would also liberate me from being worried that I could say or do the wrong thing. The power of creating a perfect plan: How do you orchestrate a perfect plan with free will? Only a mighty God can make that happen, because I have no idea how that even works. Yet somehow, God uses the sins and screwups of those he chose throughout the Bible to comfort me and to show to all that his power is amplified in weakness, and to highlight the need for a Redeemer. And he manages to do it over the course of many, many years. The power to determine life: In Genesis, God formed the earth. Throughout the bible, he also dictated what was healthy and life-giving. Only a mighty God would know how to create something, and then only him would have perfect wisdom regarding what would bring life. The power to never waver, to be fully consistent: In my human relationships, I realize people are fickle, me being the best example I know. In the bible we see God make several covenants with man, and how he was perfectly consistent. Men who he made these covenants with, always strayed. This consistency glorifies his power as mighty God. When everything is always changing, how comforting it is to know “he is, and was, and always is”. The power to know us better than we know ourselves: In Exodus 33:17 God says “I know you by name”. Later we read he knows all the hairs on our heads. How is that possible? Only a mighty God could rule over the earth and still maintain a beautiful and individual connection to his creation. I on the other hand, have trouble getting to know 2 or 3 close friends on a surface level. What would it look like for me to recognize these attributes and worship Jesus as Mighty God? I have a feeling I would have less fear, less hopelessness, less tiredness in my life. Instead of trying to change hearts, I would pray for him to change hearts, and watch him use me. Instead of feeling confused at where God wants to use me, I would go forward trusting that God has the power to make a perfect plan despite my choices. Most of all, I would be more joyful through my work and service for him. After all, Jesus is Wonderful Counselor, Mighty God, Everlasting Father, and Prince of Peace!